THE WORLD HEALTH Organisation has said that it has found sufficient evidence that exposure to diesel engine exhaust is associated with an increased risk of cancer. The International Agency for Research on Cancer, which is part of the WHO, has said that there is limited evidence that exposure to the fumes is linked with an increased link to bladder cancer. Kurt Straif, director of the IARC said that the risk posed by diesel fumes is “on the same order of magnitude as passive smoking”. He said that members of the public from pedestrians to truck drivers to mechanics to ship passengers and crew are among the groups affected. In March a study of miners in the US found that “heavy exposure to diesel exhaust increased risk of death from lung cancer”. Diesel engine exhaust is now classified in the Group 1 category of carcinogens, alongside the likes of plutonium, sunlight and alcohol. The research also maintained a 1989 finding that gasoline, or petrol exhaust is “possibly carcinogenic to humans”. The Irish Cancer society’s information leaftlet on lung cancer already identifies diesel fumes as posing an increased risk. Given the additional health impacts from diesel particles, exposure to this mixture of chemicals should be reduced worldwide. Concern has been raised particularly about exposure to diesel fumes in developing countries, where new technology or tighter emission standards may take years to implement. 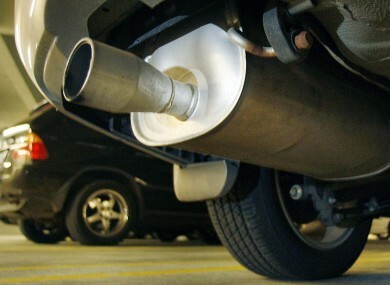 Email “World Health Organisation: diesel fumes cause cancer ”. Feedback on “World Health Organisation: diesel fumes cause cancer ”.